Memes: The History of The 21st Century's Great New Art Form | Grand Central Magazine | Your Campus. Your Story. From the poorest quality Tumblr GIF to the absolute dankest of the dank, memes are practically how this generation communicates today. If you want to share your opinion on something, you use a meme. If you want to be hilarious yet relatable, you use memes. If you want to comment on a meme that someone else posted or put your own spin on whichever one is trending, you use…I think you get where I’m going with this. Where did this new media form come from? Most people would assume the Internet was the origin of memes, due to the fact that the two things go hand in hand. 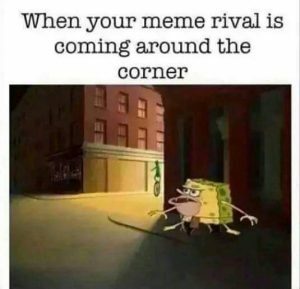 But believe it or not, the actual term “meme’ was first coined in the 1970s by Richard Dawkins, a famous scientist mainly focusing in genes and evolution. Dawkins described memes as a cultural idea, in fashion, ideology or technology, that self-replicates and spreads among the people. A meme, like a gene, can variate and mutate or even die all together. This is almost an exact definition of something “going viral”. First, something like a picture or video becomes crazy popular and spreads all across social media, television and even our own conversations. 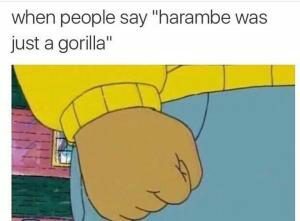 Then, as time goes on, the meme adapts and will be used to reference newer memes or other things happening in the world (for example, using the “Prehistoric Spongebob” meme to talk about the case of Harambe the Gorilla). Then finally, the meme dies out altogether. This entire process lasts a few months on average, with a rare few sticking around for even years (seriously, why are we still talking about Harambe?). Some absolute legends of memes include the Rick Roll, which practically launched YouTube into the household name that it is today, and of course the always popular, never-will-die-but-seriously-can-it-please-just-die meme; the LOLCAT (or any funny cat video). Memes evolved from your childhood favorites. 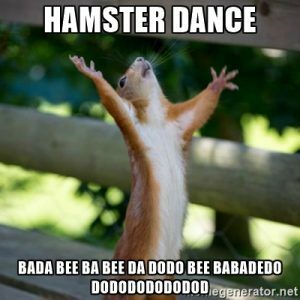 In the late 1990s, single page websites devoted to the Dancing Baby or the Hamster Dance (click through if you think modern day memes are stupid, it’s amazing the things the public considered entertaining then) surged from a few page views a day to over 10,000. The remarkable thing about memes is how many things that we have today that likely would not exist without them and the concept of “going viral”. That video of the guy yelling at you to “leave Britney [Spears] alone!” and the “Stuff White People Like” photos may be incredibly stupid to some people, but without those “stupid” things, who knows what our entertainment would look like today? Websites like YouTube would likely not exist, especially sites that are most popular for sharing memes like Reddit and Imgur. Even social media sites like Twitter and Tumblr would be drastically different. Let’s be real, we love them. 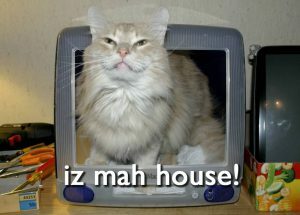 Memes are the newest medium for entertainment, and also the newest way to express creativity. 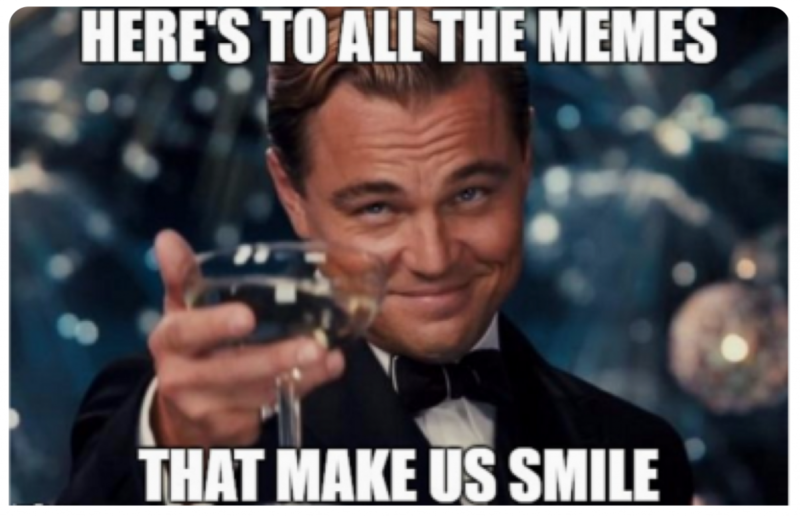 If anyone has ever posted their own meme before and thought it was pretty clever, you know there is nothing more satisfying than seeing everyone like and share it. If you look through the history, it may not seem like much has changed when it’s just transformed from dancing babies to a close up of Arthur’s hand. But if you look past the simplicity of it all, you’d realize there’s a whole lot more than “memes” the eye. Separator image Posted in Arts & Entertainment, Internet Favorites, Internet Favorites, Pop Culture and tagged with Conner Emery, GIF, history, Memes, Pepe, Pop Culture.